The Congressman responded to the Tampa Bay Times story for the first time after a campaign event in Pensacola on Saturday. 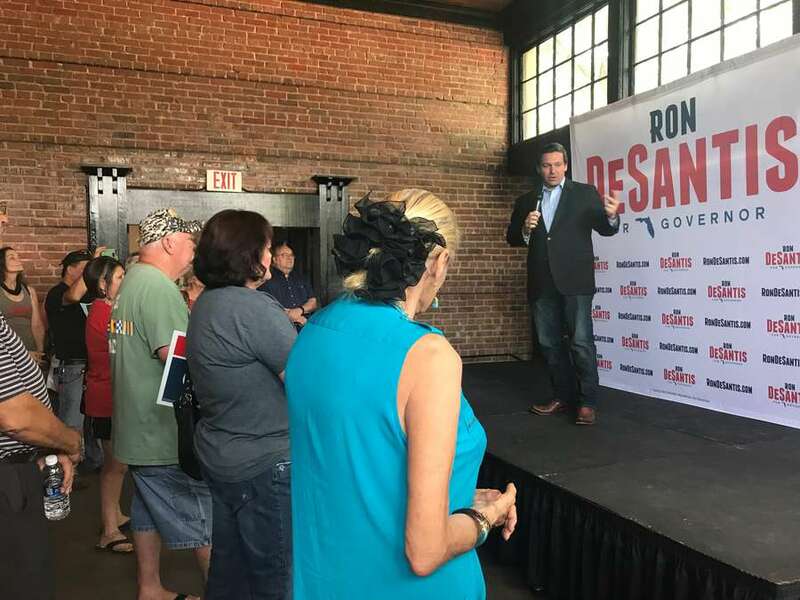 At a joint campaign event in Pensacola on Saturday, both Ron DeSantis and Matt Gaetz went on the offensive against the Adam Putnam campaign, DeSantis's only rival in the Republican primary for governor. For the first time, DeSantis spoke about the Tampa Bay Times report that for more than a year, the Florida Department of Agriculture and Consumer Services under Putnam failed to conduct national background checks on tens of thousands of applications for concealed weapons permits because an employee couldn't log into the system. The problem was found through a June 2017 Office of Inspector General investigation that has not been previously reported to the public, that the Times obtained through a public records request. "Adam has spent years campaigning for governor, basically, in this position and the report was very concerning because it seemed like he wasn't minding the store when we needed him to be there," DeSantis told reporters after making a stump speech. "I also want to know why, if this report was done a year ago, why are we just now finding out about this?" DeSantis continued. "Why weren't some of the deficiencies communicated to Gov. Scott, to FDLE, to other people who would be interested in the fact you may have people who are not eligible getting permits to concealed carry? So that's an unanswered question we need answers to." Putnam responded to the story Friday night in a statement, saying "a criminal background investigation was completed on every single application." "Upon discovery of this former employee's negligence in not conducting the further review required on 365 applications, we immediately completed full background checks on those 365 applications, which resulted in 291 revocations," read the statement. "The former employee was both deceitful and negligent, and we immediately launched an investigation and implemented safeguards to ensure this never happens again." Gaetz, who is running for reelection in Congress, also criticized Putnam for that response at the Pensacola event. "I was discouraged that Adam Putnam chose to throw his employees under the bus rather than taking some ownership over the fact that there wasn't adequate oversight and adequate redundancy over something that is so important to public safety," he said. "I think that real leaders they step forward and take responsibility when things do not go right and we did not see that from Adam Putnam." Putnam is expected to hold a media availability Saturday afternoon to further address the story.